If you want to use some icons to promote your eco-friendly company, policies, or products, then you have to check out our favorite environment vector icons. These vector icons are completely scalable, so you can resize them to meet your needs. These green environmental vectors include icons for recycling, conservation, wind energy, eco-friendly homes and buildings, and more. This set of environment icons includes green vectors for recycling, eco-friendly cars and homes, electricity, and more. This set of of environment icons offer green vectors of various leaves, trees, and grasses. This free set of green environmental icons includes car, bicycle, ecommerce, and recycling vectors. This set of 15 green environment icons features vectors for recycling, shopping, conservation, and more. This set of 16 environment icons includes green shopping, recycling, and conservation icon travel vectors. This set of environmental icons offers green vectors of plants, the sun, buildings, and trees. This free set of green environmental icons comes with gas pump, electrical outlet, footprint, and plant vectors. This set of environmental icons offers green and black vectors for recycling, green energy, and conservation. This set of 16 environmental icons comes with green and black vectors of light bulbs, water, and various plants. This set of 12 green environment icons includes vectors of a car, house, wind turbine, earth, and more. 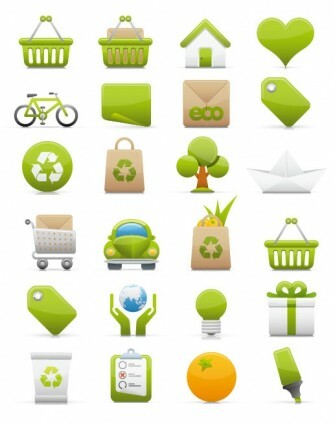 This free set of 9 environment icons has green vectors with recycling symbols. This set of green and white environment icons comes with vectors of buildings, leaves, lightning, and more. This set of environmental icons includes color and black vectors of a car, buildings, an eco-friendly home, and more. This set of 15 green environmental icons has vectors of the earth, light bulbs, wind energy, recycling, and more. This free set of environmental icons offers green electricity, fuel, wind, solar, and plant vectors. This set of 16 green environment icons features vectors of grass, the sun, water conservation, and more. This set of environment icons comes with green vectors of eco-friendly fuel, a car, water conservation, wind energy, and more. This free set of 9 green environmental icons features green and white sticker style vectors.